Isle Landscapers Limited a very competitively priced commercial grounds maintenance service to our customers in Maidstone as well, no matter what type of business you own we can help you create the perfect place for anyone who uses your property to use, we can also then maintain that space for you. 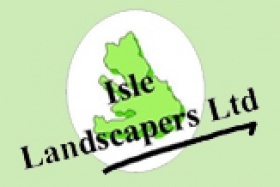 No matter the project you may need doing Isle Landscapers Limited can help, we can use our extensive range of services to create a space that your customers and employees will simply love to use, the services we can provide you include; ground maintenance, soft and hard landscaping, lawn mowing and much more. We will cater our services to you and your property, only ever offering you the perfect service at the perfect price. We can also use our many years of experience to design and create a bespoke garden for you, we will work hard to ensure that the design encompasses the feel of your business and is attractive to potential clients or customers. Having a garden that looks the part is the perfect way of impressing your customers as soon as they access your site, we can provide regular maintenance services to ensure that the outside area of your business always looks perfect and will give your customers the perfect impression of your business. In the past we have worked with many type of businesses in many different environments including; retails outlets, office buildings, public parks, pubs and restaurants and have created and maintained their perfect gardens for them. If you would like us to do the same for your business in the Maidstone are then please do feel free to get in touch, we will be happy to help in any way we can.